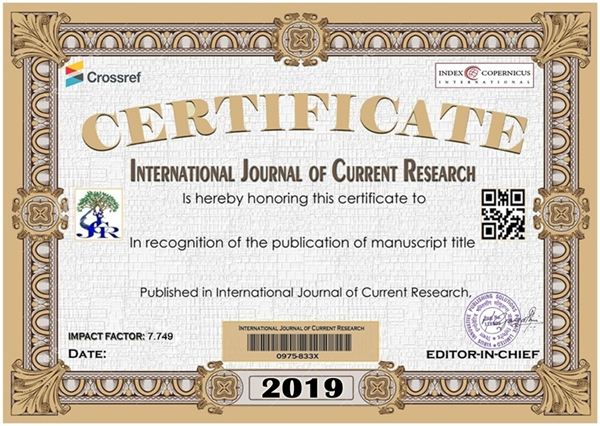 The International Journal of Current Research (IJCR) is a multidisciplinary journal aimed at attracting contributions from multidisciplinary. Authors are cordially invited to submit full length paper, Original and unpublished research articles, based on theoretical or experimental works, are solicited for publication in the journal. Submission of article implies that the work described has not been published previously (except in the form of an abstract or academic thesis) and is not under consideration for publication elsewhere. The journal provides a forum for discussion and debate of current international public health issues, with a focus on the world. Monthly issues contain peer-reviewed original articles, editorials, commentaries, book reviews, news, letters to the editor, announcements of events, and various other features. Manuscripts must be submitted online. Once you have prepared your manuscript according to the instructions below please visit the online submission web site. Manuscripts containing original material are accepted for consideration with the understanding that neither the article nor any part of its essential substance, tables, or figures has been or will be published or submitted for publication elsewhere. This restriction does not apply to abstracts or short press reports published in connection with scientific meetings. 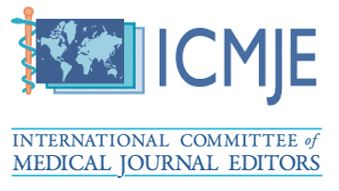 Copies of any closely related manuscripts should be submitted along with the manuscript that is to be considered by the IJCR. The IJCR discourages the submission of more than one article dealing with related aspects of the same study. The IJCR only accepts online submission of papers. Authors are encouraged to refer to the instructions on submitting your manuscript online. During the online submission procedure, authors are asked to provide: a) information on prior or duplicate publication or submission elsewhere of any part of the work; b) a statement of financial or other relationships that might lead to a conflict of interest or a statement that the authors do not have any conflict of interest; c) a statement that the manuscript has been read and approved by all authors; d) the name, address and telephone numbers and e-mail address of the corresponding author who is responsible for negotiations concerning the manuscript. The manuscript must be accompanied by copies of any permission (see Permissions below) to reproduce already published material, to use illustrations or report sensitive personal information about identifiable persons. … there is a minimum font size of 11 throughout the contribution, including the reference list, the tables and figures. …the text has double line spacing (2.0) throughout the contribution, including the reference list, the tables and figures. … the word count and maximum number of references are within the limits for the contribution type, in accordance with the quick guide below (Table 2). … there is a maximum of 4 medium-sized tables/figures in total (additional tables figures can be added as online-only supplementary files). … there is a title page in the main document, including the information stated in the Instructions to authors. … the abstract is structured under the following headings: Background, Methods, Results, Conclusion. … the main text is structured under the following headings: Introduction, Methods, Results, Discussion. … relevant ethical issues are mentioned in the manuscript. … there are three to five bulleted key points after the main text, before the references. The same bulleted key points are inserted in the provided space in the online system. ... any figures are uploaded in separate files, using the file formats specified in the Instructions to Authors. … the tables and figures are appearing only once throughout the documents. Tables may be either in the main document or in separate files, and the figures in separate files only, but there may not be any duplicates. Format of contributions* Other instructions apply for other contribution types regarding the maximum number of tables/figures, headings etc, in accordance with instructions below. However, the instructions regarding font size and line spacing applies to all contributions types. 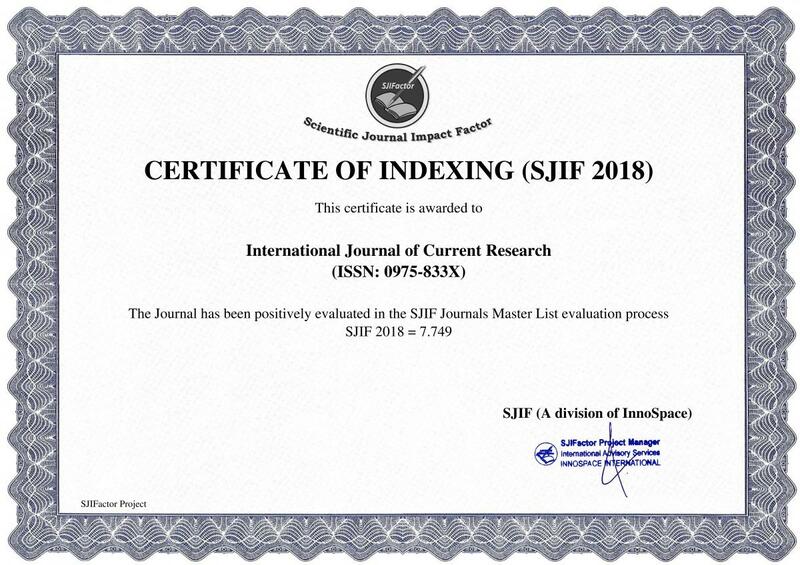 The International Journal of Current Research (IJCR) welcomes submissions of the following types of paper: original articles including systematic reviews or meta-analysis, short reports, commentaries, and letters to the editor. In addition, the IJCR also commissions editorials, ‘viewpoint’ papers, and book reviews.T Please see the text below for more detailed instructions. Provide a list of abbreviations arranged in alphabetical order. Text should be arranged as following sections. Include footnotes for each table where applicable. Provide figure legend within manuscript file after tables. Submissions should describe situations where individuals or organizations responded to a health care challenge. Articles should describe the challenge, the options, the thought process behind the decision made, and the lessons learned. Results are not required. Submissions that focus on the process of implementation are encouraged. Editorials are concise commentaries on a currently published article/issue on Current Research. Editorial office may approach for any such works and authors must submit it within three weeks from the date of receiving invitation. Letters to the editor should be limited to commentaries on previous articles published with specific reference to issues and causes related to it. It should be concise, comprehensive and brief reports of cases or research findings. It does not follow a format such as abstract, subheads, or acknowledgments. It is more a response or the opinion of the reader on a particular article published and should reach the editor within 1 months of article publication. Only articles in English are considered for publication. British spelling conventions (Oxford Dictionary) are used. Examples: standardise (not standardize), colour (not color), paediatrics (not pediatrics), foetal (not fetal), etc. Prepare your manuscript, including tables, using a word processing program and save it as a .doc, .rtf or .ps file. Use a minimum font size of 11, double-spaced and paginated throughout including the main text, references and tables, with margins of at least 2.5 cm. The text should be left justified and not hyphenated. Number pages consecutively, beginning with the title page. Begin each of the sections on separate pages. Original articles should be presented in the following format: title page; abstract with keywords; introduction; methods; results; discussion; funding; conflicts of interest; key-points; references; tables (each table on a separate page, complete with title and footnotes); figure legends; figures. Original articles should only in exceptional cases exceed 5 pages in print. This implies a word limit of appr. 3000 words in the main text of the paper, and a maximum of 4 medium-sized tables/figures. The manuscript of original articles should be presented in the following order: 1) title page; 2) abstract with keywords; 3) main text (introduction; methods; results; discussion); 4) funding; 5) conflicts of interest; 6) key-points; 7) references; 8) tables (each table on a separate page, complete with title and footnotes); 9) figure legends; 10) figures. The title page should carry a) the title of the article, which should be concise but informative; b) first name, middle initial, last name and institutional affiliation of each author; c) name of department(s) and institution(s) to which the work should be attributed if not already stated under b); d) disclaimers, if any; e) name, address, telephone and fax numbers of author responsible for correspondence about the manuscript. The abstract should be structured under the following headings: Background, Methods, Results, Conclusion. The word limit is 250 words. Add three to five key words or short phrases to the bottom of the abstract page, which will assist us in indexing the article and which may be published with the abstract. Use terms from the Medical Subject Headings (MeSH) list of Index Medicus when possible. The main text should be divided into the following sections: Introduction, Methods, Results and Discussion. More information on the structure and content of these sections can be found in the Uniform Requirements for manuscripts. Relevant ethical issues should be discussed in the manuscript and necessary permissions and authorizations declared. If any acknowledgements are stated, authors are responsible for obtaining written permission from persons acknowledged by name because readers may infer their endorsement of the data and conclusions. Funding information should be declared under the heading ‘Funding’. If there is no funding source, this should be explicitly stated. A statement on conflicts of interest should be included in the manuscript. Either mention: ‘none declared’, or specify the authors’ financial or other interests which should be known to the readers. See below for further details. Keypoints should be presented in the form of 3 to 5 bulleted, short statements which summarize what this paper adds to what was already known. Include at least one implication for public health policy and practice. For the references, see the separate guidelines at the end of the author instructions. There is a limit of 40 references for original articles. Type each table with double spacing on a separate page, and provide a title for each. Do not use internal horizontal and vertical rules. Abbreviations in tables should be explained. Place the tables at the end of the main document or upload them in a separate text file. Excel format is not accepted. Excessive tabular data are discouraged: a maximum of four medium-sized tables/illustrations is allowed. Do not duplicate data in graphs and tables. Additional tables/figures can be presented on the journals’ web-page if needed. Do not repeat in the text all the data in the tables or illustrations; emphasize or summarize only important observations. Do not indicate “statistical significance” with bold or otherwise altered font. If you use data from another published or unpublished source, obtain permission and acknowledge fully. Figures should be professionally designed, using a well-known software package for standard personal computers. Three-dimensional figures are not allowed. Provide the figures in separate files, not as part of the main text. The following figure formats are allowed in the first submission: .jpg, .gif, .tif, .eps or .doc/.docx. However, if the manuscript is accepted, .tif format is required. Symbols, lettering, and numbering should be clear and large enough to remain legible after the figure has been reduced to fit the width of a single column, i.e. 7 cm. The figure legend should be provided in the submission system when uploading the figure, or at the bottom of the main document, and should not appear in the figure. If a figure has been published earlier, acknowledge the original source and submit written permission from the copyright holder to reproduce the material. If photographs of patients are used, their pictures must be accompanied by written permission to use the picture, whether the patient is identifiable or not. Colour figures are accepted, but the authors will be required to pay the cost of the reproduction (£350/$600/€525 per figure). Alternatively, if the colour is not critical for the image's scientific understanding, colour can be published online only, as Supplementary data, with a black and white version being published in the print version of the journal. The review should be less than 5000 words (not including abstract, references, and tables). There should be a structured abstract of up to 250 words (using the headings: Background, Methods, Results, and Conclusions). There should be 3-5 keywords and up to 40 references. Additional references exceeding 40, for example those listing included papers, can be presented as online supplementary data. Please follow instructions on the submission site on how to upload supplementary material. Short reports should have the same format as original articles, but should not exceed 1200 words, and contain a maximum of one table/figure. Abstracts of short reports should not be structured, and should be no longer than 100 words. The maximum number of references is 10. Commentaries are opinion pieces which reflect on papers previously or currently published in the International Journal of Current Research (IJCR), or on issues of general interest to public health science or policy. Comments on specific papers should in general be given directly under the published paper (please see “E-letters” below). Their format is free, but they should at least contain a title page, the main text, funding information, a conflict of interest statement, and references. They do not need an abstract. The main text should not exceed 1200 words. The maximum number of references is 10. Editorials are written by associate editors or commissioned. They reflect on issues of general interest to public health science or policy, or on issues of special interest to the membership of EUPHA. They should be written in a crisp, lively style. They should have a maximum of 800 words, and not more than 5 references. Viewpoint papers are usually commissioned. Viewpoint sections in the International Journal of Current Research (IJCR) usually consist of two or three contrasting pieces which reflect in issues of general interest to public health science or policy. They should be written in a crisp, lively style. They should have a maximum of between 800 and 1200 words, and not more than 5 references. Book reviews are usually commissioned. They should have a maximum of 500 words. E-letters are comments on papers published in the European Journal of Public Health. They should be no more than 500 words and 5 references. E-letters, or comments, are submitted directly on the European Journal of Public Health website. Please locate the article on the journal website, sign in or register via the top right bar of the Oxford Academic website and click on the “Add comment" button at the end of the article. All persons designated as authors should qualify for authorship. The order of authorship should be a joint decision of the coauthors. Each author should have participated sufficiently in the work to take public responsibility for the content. One author will be asked to act as the corresponding author. This needs not be the first author. All communications from and to the editorial office, the editors, Oxford University Press etc. will go through the corresponding author. Increasingly, multicentre trials are attributed to a corporate author. All members of the group who are named as authors should fully meet the criteria for authorship as defined in the Uniform Requirements. During the submission procedure, authors will be asked to grant a licence to publish to the International Journal of Current Research (IJCR), the owner of the IJCR and to declare copyright ownership (author, public domain, employer). After acceptance of the paper, all authors will be requested to sign an authorship statement. Authors are reminded that it is their responsibility to comply with copyright laws. It is essential to ensure that no parts of the submission have or are due to appear in other publications without prior permission from the copyright holder and the original author. Materials, e.g tables, taken from other sources must be accompanied by a written statement from both author and publisher giving permission to the IJCR for reproduction. All original papers, short reports and commentaries are evaluated by two or three external referees, who are asked to comment on originality, validity, presentation, and importance and interest. The International Journal of Current Research (IJCR) is working towards a system of open peer review. Manuscripts are not blinded to reviewers. Reviewers are encouraged to sign their reviews. IJCR policy requires that authors of all manuscripts reveal any financial interests or connections, direct or indirect, or other situations that might raise the question of bias in the work reported or the conclusions, implications, or opinions stated - including pertinent commercial or other sources of funding for the individual author(s) or for the associated department(s) or organization(s), personal relationships, or direct academic competition.When considering whether you should declare a conflicting interest or connection please consider the conflict of interest test: Is there any arrangement that would embarrass you or any of your co-authors if it was to emerge after publication and you had not declared it? Please provide details of potential conflicts of interest to the editorial office. If the manuscript is published, this information will be communicated in a statement in the published paper. Upon receipt of accepted manuscripts at IJCR Journals authors will be invited to complete an online copyright licence to publish form. Do not use abbreviations in the title or the abstract. Except for units of measurement, abbreviations are discouraged. Use only standard abbreviations. The first time an abbreviation appears it should be preceded by the words for which it stands. Footnotes are permitted only in tables. Use lower case characters - a, b, c, etc. - to indicate each footnote. Authors of articles must express all measurements in terms of the International System of Units (SI units), but they may include older conventional units in parentheses if they desire. All numbers in the text should be written in numeric form except numbers 0-10. Use % symbol instead of writing out the words per cent. Generic names should be used. Authors who wish to do so may insert brand names in parentheses. Standard journal article: McIsaac, SJ., Wilkinson, RG. 1997. Income distribution and cause-specific mortality. int J Curr. Res., 7:45-53. 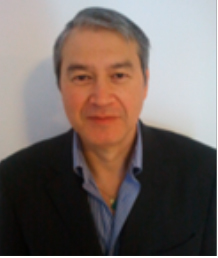 Organization as author: The Royal Marsden Hospital Bone-marrow Transplantation Team. Failure of syngeneic bone-marrow graft without preconditioning in post-hepatitis marrow aplasia. Lancet 1977;2:742-4. No author given: Coffee drinking and cancer of the pancreas [editorial]. BMJ 1981;283:628. Article in a foreign language: As above. Include an English translation in parentheses after the original title. Supplement article: Magni ,F., Rossoni ,G., Berti, F. 2000. BN-52021 protects guinea-pig from heart anaphylaxis. Pharmacol Res Commun, 20 Suppl 5:75-8. Volume with part: Hanly C. Metaphysics and innateness: a psychoanalytic perspective. Int J Psychoanal 1988;69(Pt 3):389-99. Book reference: Colson, JH., Armour, WJ. Sports injuries and their treatment. 2nd rev ed. London: S Paul, 1986. Chapter in a book: Weinstein L, Swartz MN. Pathologic properties of invading microorganisms. In: Sodeman WA Jr, Sodeman WA, editors. Pathologic physiology: mechanisms of disease. Philadelphia: Saunders, 1974:457-72. Conference paper: Harley, NH. Comparing radon daughter dosimetric and risk models. In: Gammage RB, Kaye SV, editors. Indoor air and human health. Proceedings of the Seventh Life Sciences Symposium; 1984 Oct 29-31; Knoxville (TN). Chelsea (MI): Lewis, 1985:69-78. Scientific or technical report: Akutsu T. Total heart replacement device. Bethesda (MD): National Institutes of Health, National Heart and Lung Institute; 1974 Apr. Report No. : NIH-NHLI-69-2185-4. Dissertation: Youssef NM. School adjustment of children with congenital heart disease [dissertation]. Pittsburgh (PA): Univ of Pittsburgh, 1988. Legal material: Toxic Substances Control Act: Hearing on S.776 Before the Subcomm. on the Environment of the Senate Comm. on Commerce. 94th Congr., 1st Sess. 343 (1975). Map: Scotland [topographic map]. Washington: National Geographic Society (US), 1981. Dictionary and similar references: Ectasia. Dorland's illustrated medical dictionary. 27th ed. Philadelphia: Saunders, 1988:527. Classical material: The Winter's Tale: act 5, scene 1, lines 13-16. The complete works of William Shakespeare. London: Rex, 1973. Lillywhite HD, Donald JA. Pulmonary blood flow regulation in an aquatic snake. Science, in press. Website: Federal Ministry of Labour, Health and Social Affairs, Austria: http://www.bmags.gv.at Accessed [Date (i.e. date reference item accessed on organization website)]. Supporting material that is not essential for inclusion in the full text of the manuscript, but would nevertheless benefit the reader, can be made available by the publisher as online-only content, linked to the online manuscript. There is normal fees for the publication of online-only supplementary data/tables/figures. Such material should not be essential to understanding the conclusions of the paper, but should contain data that is additional or complementary and directly relevant to the article content. Such information might include more detailed methods, extended data sets/data analysis, or additional figures (including colour). All text and figures must be provided in suitable electronic formats. Further information about preparing Supplementary material can be found here. All material to be considered as Supplementary material must be submitted at the same time as the main manuscript for peer review. It cannot be altered or replaced after the paper has been accepted for publication. Please indicate clearly the material intended as Supplementary material upon submission. Also ensure that the Supplementary material is referred to in the main manuscript where necessary. Please note that we do not edit supplementary files and publish them online exactly as they are received (including track changes, highlighting, etc.). Please therefore ensure that you submit the final version. Particularly if English is not your first language, before submitting your manuscript you may wish to have it edited for language. This is not a mandatory step, but may help to ensure that the academic content of your paper is fully understood by journal editors and reviewers. Language editing does not guarantee that your manuscript will be accepted for publication. There are many specialist language editing companies that offer this service and you can use any of these. Authors are liable for all costs associated with such services. For information about this journal's policy, please visit our Author Self-Archiving policy page. 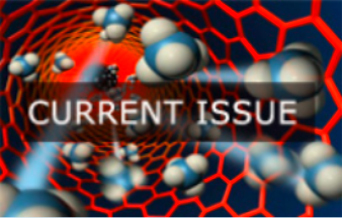 International Journal of Current Research (IJCR) authors have the option to publish their paper under the Open initiative; whereby, for a charge, their paper will be made freely available online immediately upon publication. After your manuscript is accepted the corresponding author will be required to accept a mandatory licence to publish agreement. As part of the licensing process you will be asked to indicate whether or not you wish to pay for open access. If you do not select the open access option, your paper will be published with standard subscription-based access and you will not be charged. Electronic proofs will be sent (e-mail attachment) to the corresponding author as a PDF file. Page proofs are considered to be the final version of the manuscript. With the exception of typographical or minor clerical errors, no changes will be made in the manuscript at the proof stage. Because IJCR will be published online, authors will have free electronic access to the full text (PDF) of the article. Authors can freely download the PDF file from which they can print unlimited copies of their articles. Each accepted paper is required to pay the processing charge which is very nominal fees. The fees depends upon the number of pages, number of authors, images etc. Before the accepted paper is published we will intimate the fees in the Invoice.